I have been holding off with my GDC recap (coming soon!) because I was busy doing some significant changes to the TRAUMA project. Inspired by life-changing events at GDC, I have decided to make TRAUMA into a Facebook game. I am almost done with the beta and I am currently looking for beta testers. There have been many interesting speeches and presentations at GDC but none struck me as much as Bill Mooney’s acceptance speech on behalf of Zynga recieving Game Developers Choice Award for creating Farmville, the Best Social Game. In an astonishing example of eloquence, stage presence and a heart-winning charm he revolutionized the way we see the indie scene by defining Facebook and the social games space as the last big realm for indies. See this speech here(starts at 27:50). Or read the transcript here. Maybe it was because TRAUMA didn’t get any of the IGF awards. But it was there and then when I realized I have been going in a wrong direction all the time. I should have seen the signs earlier when Steve Jobs defined Flash as a dying technology. But it is finally all clear to me now. I now understand that the best tools to provide rich emotional, atmospheric, deep, profound interactive experiences are on Facebook. TRAUMA will no longer be a Flash game. It will be a Social Facebook game. It will be a game where you explore the fragile mind of a female car accident victim by inviting as many of your friends as possible to play the game with you. You will then earn “Dream Coins” which you can spend to look in the accident victim’s mind for dreams. The actual search will be a cooperative rhythm game somewhat similar to Rock Band but with sad music. When you find dreams you can then send them as gifts to your friends or put them on your board for others to see. You can also spend Dream Coins for medicine or jewelry for your accident victim – but this is only optional. Of course, following the free-to-play model you can also buy Dream Coins for actual money. Subscribe to the beta now to get 500 Dream Coins. That’s enough to start your TRAUMA experience by giving your accident victim a CT Scan. I know that this is a very different direction but times have changed now. In the end, I think the Facebook TRAUMA really tells the kind of story I was trying to convey in the first place. I hope you are just as excited as I am. By the way: the Beta is still in development. I encourage you to post feature requests in the comments section. Yes, as most of you figured it out – this is an April’s Fool joke. My plans on TRAUMA haven’t changed. The fact that TRAUMA didn’t win anything is not a big deal because being able to show the game at GDC/IGF was awesome. 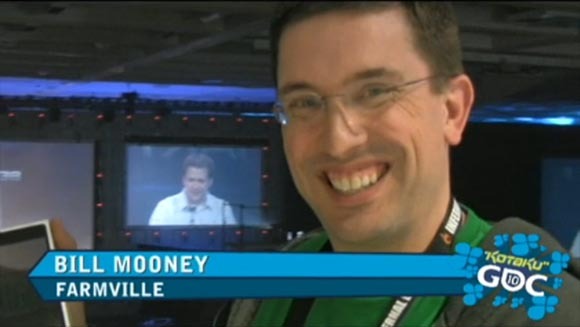 I find Bill Mooney’s acceptance ridiculous and the fact that he will be a keynote speaker at GDC Canada is just wrong. People with such poor sense of tact and understanding of the scene shouldn’t be allowed near microphones at all. You actually had me there for a second. you had me at Facebook. Hey, Opera’s spellchecker doesn’t know Facebook! @Kylie I don’t know what you are talking about. @Yu See, that’s why Opera is not #1. Oh wait Firefox also doesn’t recognize it. Nevermind. Took me a while to figure out that was an April fools joke. My world was collapsing as I read that. Funniest bit I read all day! I can’t wait for the real game in Flash. Brilliant! I suggest you add a ‘wither’ feature, where your dreams will fade and die if you don’t come back to click them every 45 minutes. Sweet thinking. I’m an indie but I have around 200 new openings. Are you intrested? When I got to the Steve Jobs part, my heart sank and I completely fell. Fortunately you went straight into the “Dream Coins” nonsense quickly and I realized what all this was. i am really looking forward to your game. i really do. Krystian! I know I’m late to the party but I nearly died reading that! haha. Great April Fools joke mate! So, I’ve been really excited about Trauma for a while! How do I get involved with Beta Testing? It would be an honor! Any thoughts on Cow Clicker as a response to the same speech?